Colorado Construction, under a design and build contract, have completed a £3.5M ‘one-off’ individually styled home in Perthshire. 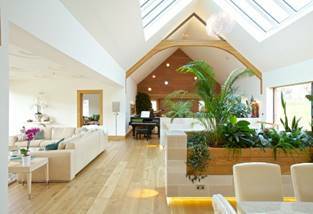 The house includes state of the art services throughout and incorporates a environmentally advanced heating and heat recovery system. The finishes are high-end throughout and include stone tiles and oak finishes, bespoke kitchen and bathrooms, together with a cinema room, gym and full-sized snooker room. 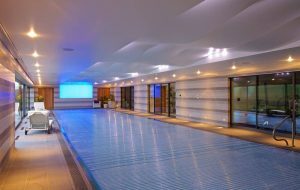 The building has a 25m swimming pool, sauna and jacuzzi. 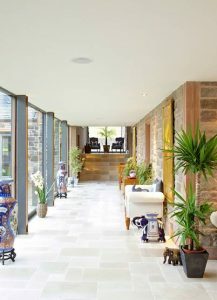 The building has been designed to ‘bring the outside into the inside scale of the dwelling’. The house has extensive control systems to tie-in the AV, lighting, heating and window blinds allowing remote and alarmed set-up. 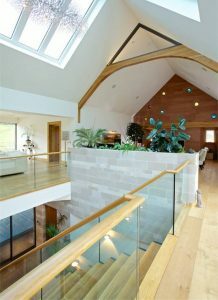 The project incorporates ground and water source heat pumps.